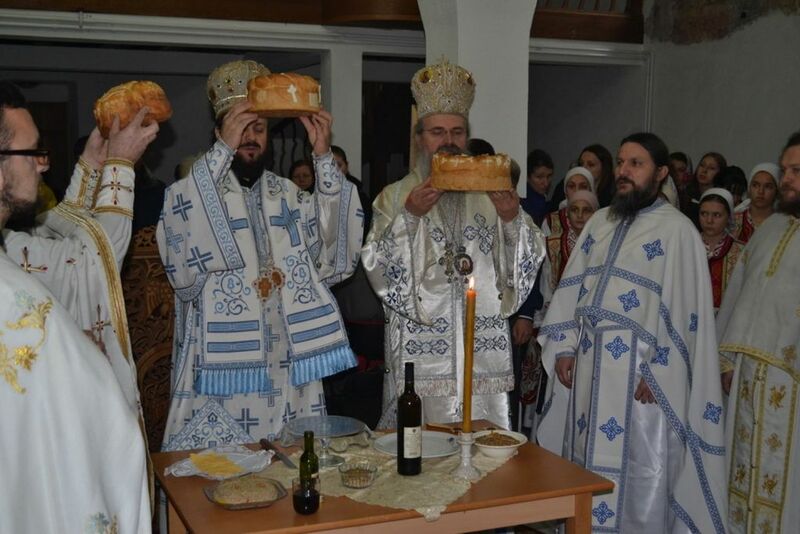 Pristina - The Holy Hierarchical Liturgy was served on the occasion of the St. Nicholas Church in Pristina church Slava with the remaining Pristina Serbs and many others who were forced out of this city. 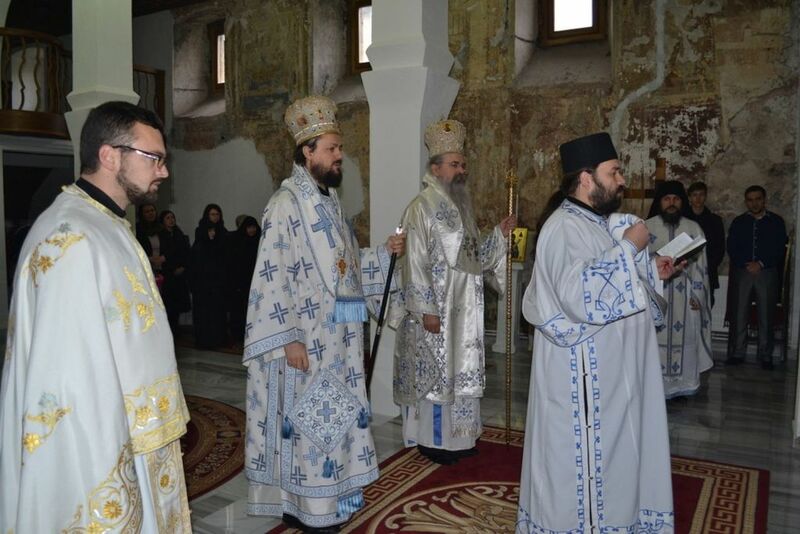 Serving the liturgy were His Grace Bishop Maxim of Western America and His Grace Bishop Teodosije of Ras and Prizren with the concelebration of the diocesan clergy and monastics. In his homily after the gospel reading Bishop Maxim reminded the faithful that "St. Nicholas was able to gather us - through his life, his actions and spiritual strength - during these cold days and bring us to Christ, the very hearth of love where our souls are warmed." 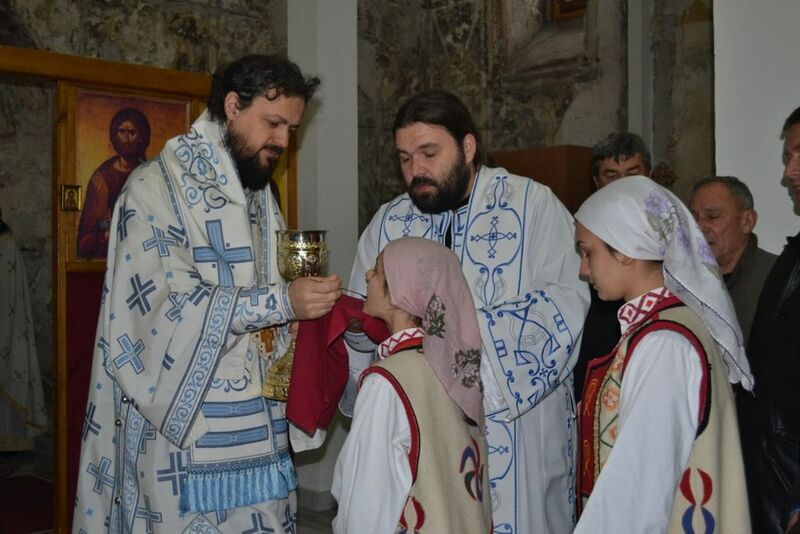 Following the service Bishop Teodosije wished the faithful a happy feast and greeted Bishop Maxim who, as he said, came to serve the liturgy in this church that suffered just as the Serbian people suffered in Kosovo and Metohija and to show his great love for this holy place and holy Serbian land. The celebration continued in the church courtyard where the faithful were reminded of what their life was like in this city before being expelled. The St. Nicholas Church in Pristina, which was burned down and completely destroyed in the March 2004 pogrom, has been partically renovated. Only the iconstasis and frescoes are left to be renovated; the frescoes once not only decorated this church but were unique and renowed.